As all around it realise that Windows phones might be on the way out, the Sony off-shoot VAIO has proudly unveiled a new handset that runs Windows 10. Announced today in Japan, the Phone Biz — what a name! 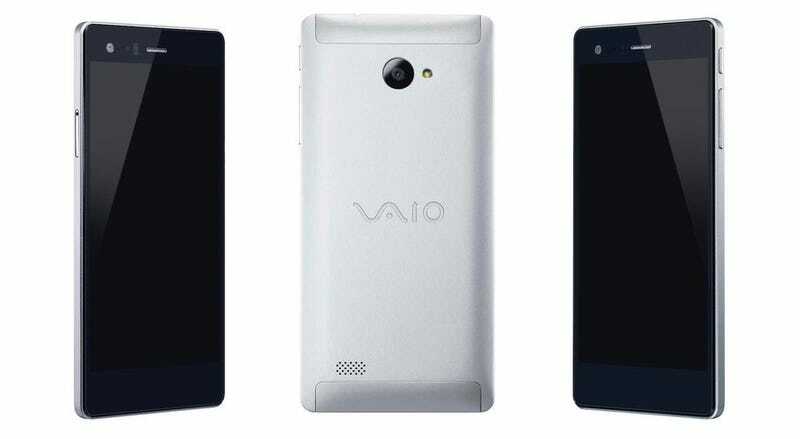 — is certainly more stylish that the middle-of-the-road black slab that constituted VAIO’s first stab at a smartphone. Beneath the sleek silver aluminium frame it’s a fairly standard mid-range affair, though: a 5.5-inch 1080p LCD, 13 megapixel camera, Snapdragon 617 chip and 3GB of RAM. It supports the Windows Continuum mode too, allowing you to use it with a desktop display. But the fact remains that it’s a Windows phone in a world where Windows phones are, seemingly, dying. Launching in Japan at a cost of ¥50,000, which is about £290, there’s no word on if or when it will become available further afield. Which, to be honest, may be just as well.